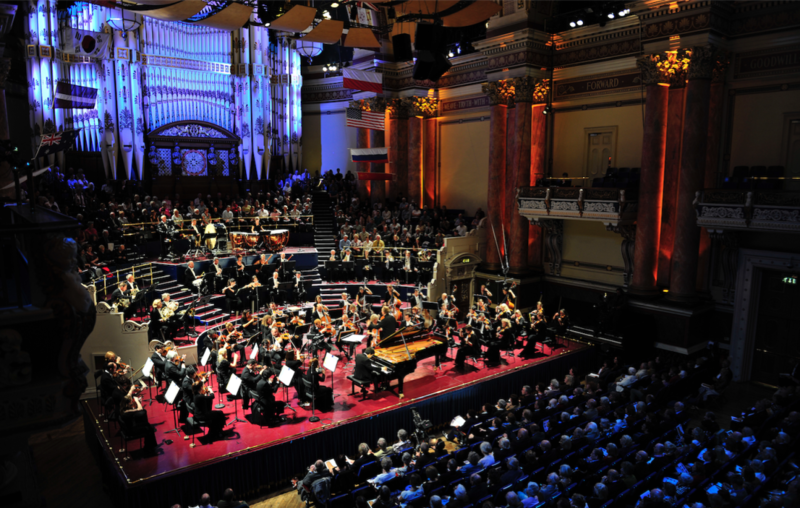 The Leeds International Piano Competition yesterday announced that 68 pianists, eight more than originally planned, have been shortlisted for the first round of the 19th Leeds Competition. The selection jury, chaired by Co-Artistic Director Adam Gatehouse, unanimously selected all 68 for the newly-introduced international first round, declaring that paring down nearly two hundred applications to just 60, as originally planned, for the world-renowned triennial event had been impossible due to the ‘extraordinarily high quality of applicants’. ‘The Leeds’, with its defining qualities of excellence and musical integrity, has long attracted some of the world’s most exciting young pianists and the 2018 Competition includes some striking innovations introduced by Paul Lewis and Adam Gatehouse since their appointment as Co-Artistic Directors in 2015. Developments include creating an unrivalled post-competition prize package, designed with long-term career strategy in mind; a greater range of events, concerts and education work than ever before, including a new Leeds Piano Festival to take place annually in London and Leeds; new global centres for its First Round and worldwide live-streaming of all rounds. They have also forged a range of powerful new partnerships which, with the other enhancements, have invigorated the Competition and consolidated its position as among the most coveted prizes in the musical world. The 68 who will participate in the first ever international First Round, taking place in Berlin, Singapore and New York in April 2018, represent 28 nationalities, nine more than in 2015. Five British nationals have been selected as well as the first ever competitor from Syria. While half of the competitors are Asian nationals (led by China and South Korea, with 11 competitors each), it is interesting to note that almost two thirds of the pianists are based in Europe, including 11 UK residents and 15 based in Germany. The fact such a high proportion of competitors live or study in Europe has caused The Leeds to add an extra day to the First Round in Berlin, enabling 43 competitors to take part there. The remaining 25 are split between New York and Singapore. The average age of competitors is 25. This is a year older than in 2015 because the age limits have been narrowed, from 30 or under in 2015 to between 20 and 29. Broadly consistent with previous years and with the applicant pool, 65% of those selected are male. The first round jury, chaired by Adam Gatehouse and including Thomas Hübsch, Noriko Ogawa and Marna Seltzer, will hear a 25-minute recital from each of the 68 pianists in the three global centres before selecting just 24 to go through to the Second Round in Leeds in September 2018. The Concerto Final performances, with the Hallé, are conducted by Edward Gardner for the first time and an enhanced programme of activities during the Competition in Leeds – with masterclasses, lectures from major figures in classical music, exhibitions, and a new chamber music element in the semi-finals – aims to create a much enriched experience for both competitors and audiences. All rounds will be streamed worldwide by medici.tv and BBC Radio 3 and BBC Four TV will cover the Finals. The stakes are higher than ever with generous cash prizes worth over £90,000 and a prize package which has redefined what a competition can offer young artists. It includes artistic management with Askonas Holt, one of the world’s most renowned music management agencies; concerts and engagements with some of the world’s premiere venues and orchestras, including London’s Wigmore Hall and South Bank Centre, Amsterdam Concertgebouw, the Hallé, Royal Liverpool Philharmonic and Oslo Philharmonic Orchestras; concert and recording engagements with BBC Radio 3, a media partner of The Leeds; a major European tour organised with partners Steinway & Sons; a recital CD with a leading recording label; a programme of recital engagements in Yorkshire and other UK venues; and mentoring from Co-Artistic Director Paul Lewis, Patron Murray Perahia and other members of the performer-led jury, chaired by Paul Lewis, which includes Sa Chen, Imogen Cooper, Adam Gatehouse, Henning Kraggerud, Thomas Larcher, Gillian Moore, Simon Trpčeski and Lars Vogt. Read our interview with Adam Gatehouse inside Pianist issue 94. You can also read an interview with the 2015 winner, Anna Tsybuleva, inside the same issue.